Let’s be real for a second. Pittsburgh is a blue-collar town with some pretty cultures that still honor the older times. For some reason, on an absolute whim, I decided to go to Mullin’s Diner one morning for a late breakfast. Luckily I was with two friends, if I were with TasteBudA, I’m sure he would have insisted we turn around before even sitting down. Walking in, you feel like you are eating in a Pep Boys next to the guy changing your oil. It isn’t overly clean or inviting, but after 3 steps into the door none of us felt like turning back now. It seems like a place overrun with regulars. As we walked in, it felt like all eyes were on us. The waitress was surprised that we needed to look at a menu – literally 1 menu. That’s all we got between the 3 of us. After the shoddy service and atmosphere lowered the bar so low, it was a welcoming surprise that our food was pretty good. 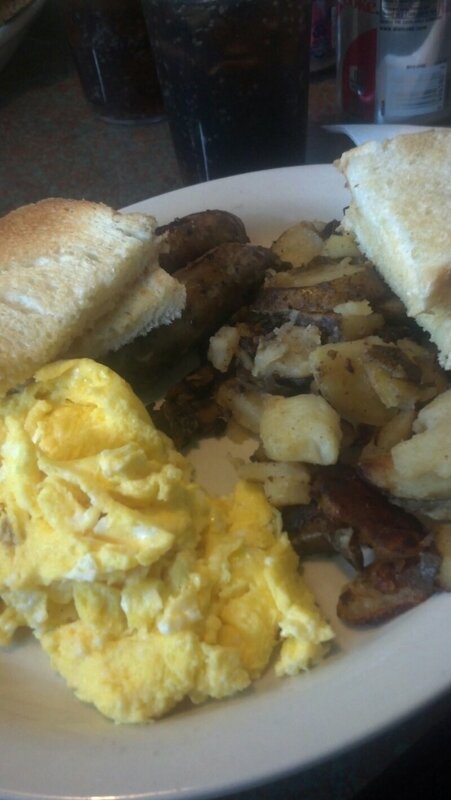 Though I’d have been scared to look into the kitchen the prepared our food, the eggs, sausage and homefries that I ordered were hot and didn’t need seasoned. 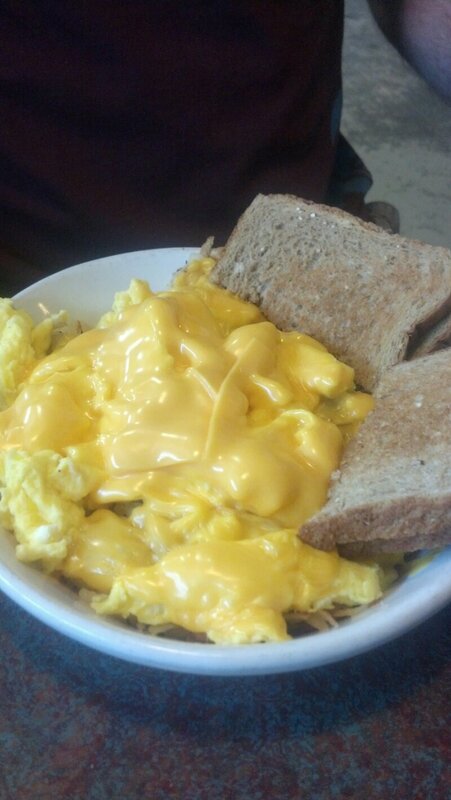 My friends equally enjoyed their cheesy eggs with toast and cheeseburger with fries. 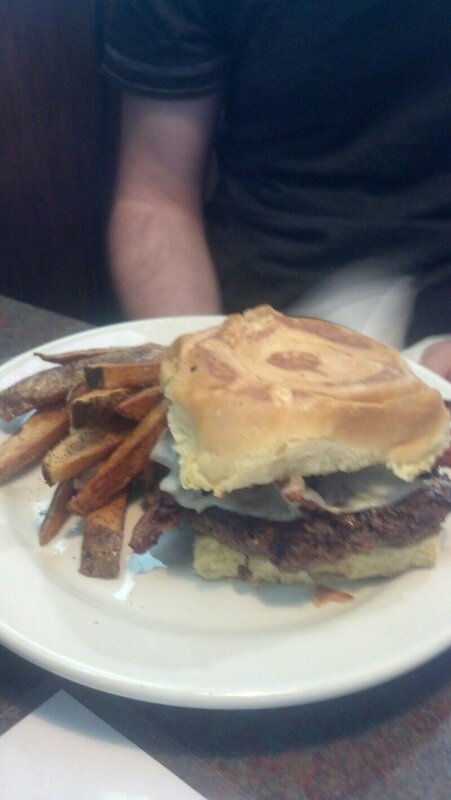 Looking at the burger – sure it looks rough – but it was clearly hand-pressed and cooked to temp. I’d probably return and get one of those to go. Eating a nice burger on the grassy northshore might hit the spot one of these days.